When 2010 rolled around, the Peterson family knew that they would have to do something special and they are still figuring out just what. Their family farm in Wahiawa had reached its 100th year of existence. That it would come at a time that is so bittersweet and hopeful has put so much into perspective for them and for all of us. The Petersons have been through and continue to make their way through more than their share of trials. The road has been a long one. A hundred years old to be exact, which is equal to a miracle for a farm these days. So how are they celebrating? In the most meaningful way you could ever imagine. They are slowly rebuilding. They are slowly regrouping. And with the help of all of us, they will even grow into their dreams of being able to supply our community at full capacity again like they did for decades. 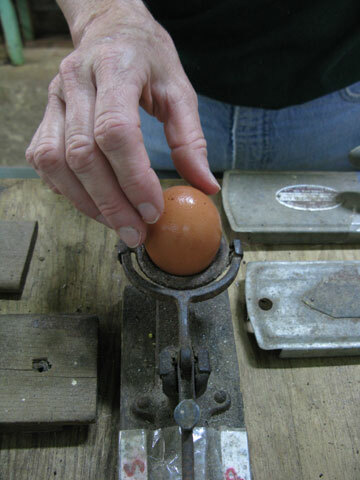 Fresh eggs for us and a promising livelihood for their entire family again. We visited with Sharon at her family’s farm and got her thoughts on the efforts that brought all of us together – the nearly disastrous crisis of the Hawaii egg farms, feed subsidy help and the marketing plans in 2007 that saved them. It was during these months of working on the marketing strategy for the egg farmers that Dan and I started working together. In some ways it was our first She grows food project. 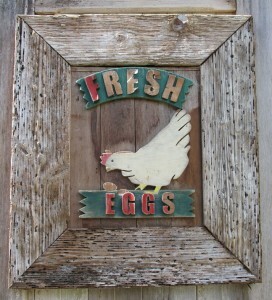 Here’s a link to the website islandfresheggs.com. Visiting again with Sharon opened our eyes even more to her and her family’s incredible story. As humble as they are, we can still see how much more we can learn from them about the history and the future of farming in Hawaii. So please stay tuned for more about Sharon, her family and Petersons Upland Farm as we venture into the month of August. Why August? Why, it’s been declared Hawaii Egg Month! When Petersons Upland Farm fan and Wahiawa-raised Chef Alan Wong realized that 2010 marked Peterson’s 100 year anniversary he decided to commemorate it with an Egg Recipe Contest! alanwongs.com and an egg-citing menu for the entire month of August. Well, word got around and we jumped on the band wagon to refocus on the August issue and soon to be announced collaboration with our friends at Share Your Table! We think a 100 years of farming is definite cause for celebration. If anything, to honor all of the love that Sharon and her family have for what they do and what that love fosters in its hometown, Wahiawa, and beyond. My good friend Sharon Peterson Cheape is the hardest working person I know. From our high school days when I was lucky enough to hang out with her on the egg farm and collect eggs at 4:00 each day, to spending long vacations with her while we raised our kids, to now….she has remained consistently strong in her focus to keep working her passion, the family farm! Us non-farmers don’t generally realize what amazing effort goes into the food we often take for granted, but I am lucky enough to know…..by knowing Sharon. The Peterson Upland Farm is a true treasure in the islands! Support local farmers! Keep up the great work – – Petersons Farms and She Grows Food! I grew up in Wahiawa, and loved visiting the farm, feeding the friendly horses, and stopping in with Mom to pick up a tray of eggs. 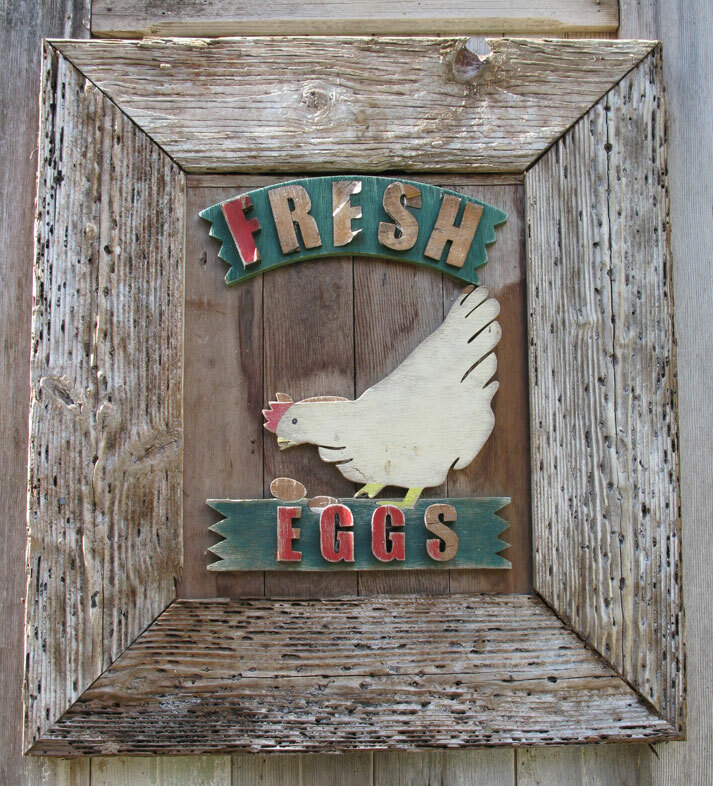 We always had fresh eggs on the counter next to the fridge. We moved from way up the Heights to Kilea Place, right near the farm, and it was comforting to know Peterson’s farm was nearby…When the farm started to slow production, and I think it stopped, I was sad. I am happy to hear of the revitalization, and I know people from around the neighborhood–at least the long term neighbors that have been there awhile, will be happy about fresh eggs nearby. My nieces and nephews will LOVE seeing a “horsey” again, if it happens. I live in Hilo now, but our year end visits take us back to Kilea Place every Christmas…and I will come visit to buy eggs if can. May the best of everything good come to you folks in this new year. WHERE TO BUY PETERSONS UPLAND FARMS EGGS?